I’ve just received the Invitation of the British Deputy High Commissioner, Ms. Laure Beaufils to speak on WOMEN PARTICIPATION IN POLITICS in Lagos Nigeria next Monday. It’s a Strictly by Invitation Event but as usual, I’ll return to you here with a Summary of my analysis and viewpoints on the subject however in addiion to my perspectives, and for a robust, citizen centred discussion, I’ll love to have your thoughts on some of the factors hindering Women from venturing into Politics in Nigeria, the implications of having a Male Dominated Political Terrain and your suggestions on how we can institutionalize bold, radical change in this Regard. 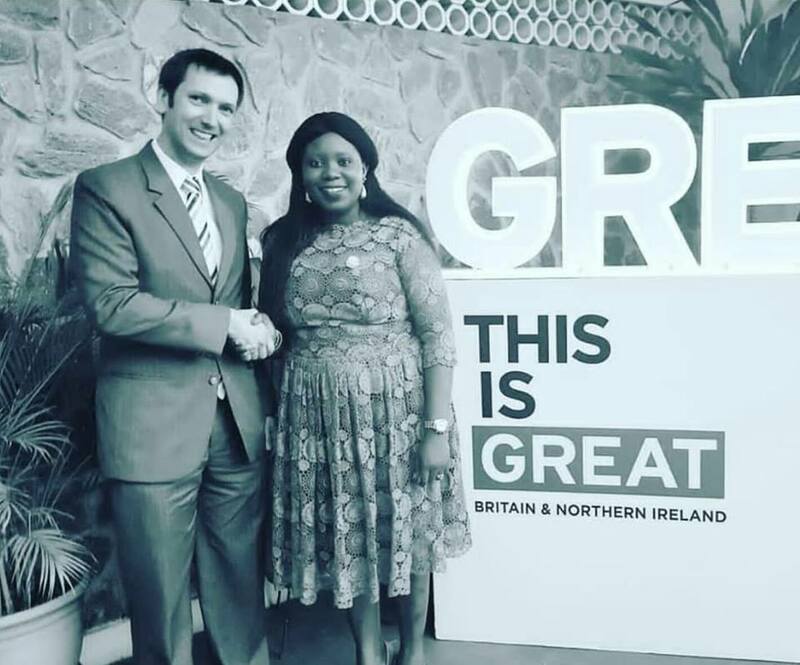 Here’s my new friend, Dominic Williams, Political Adviser at the British High Commission in Nigeria after our illuminating intellectual exchange during our meeting at the British Residence in Ikoyi, Lagos Nigeria.